War­ren Botts is a dis­il­lu­sioned Ph.D., tak­ing a break from his lab to teach middle-school sci­ence. Gen­tle, soft-spoken, and intro­verted, War­ren befriends thirteen-year-old Amanda, a lonely stu­dent look­ing for a friend. One morn­ing, War­ren returns from a jog to find Amanda dead, hang­ing from a tree in his back­yard. A police inves­ti­ga­tion fol­lows, but War­ren is unable — or unwill­ing — to answer the ques­tions that swirl around him. Sus­pi­cions mount, and Warren’s peace­ful neigh­bours quickly become hostile. Mean­while, an anony­mous nar­ra­tor who pos­sesses the dan­ger­ous com­bi­na­tion of extreme intel­li­gence and emo­tional detach­ment offers insight into events past and present. As the ten­sion builds, we gain an inti­mate under­stand­ing of the power of mem­ory, secrets, and lies. 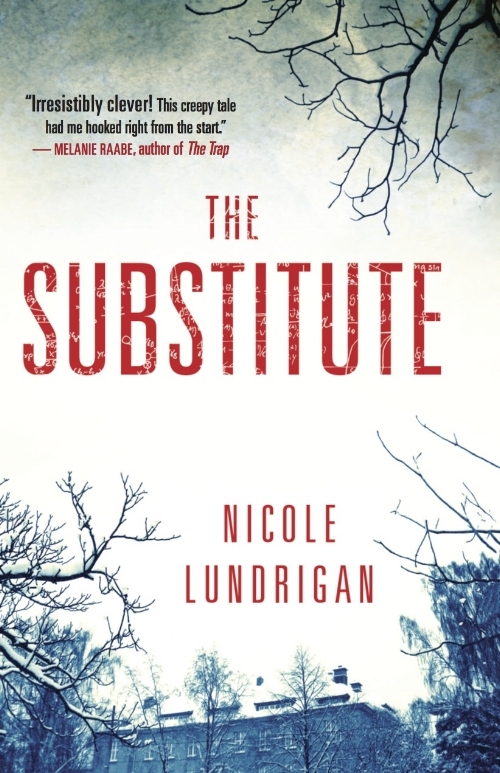 A deli­ciously creepy thriller that will keep you guess­ing to the very last page, The Sub­sti­tute is a finely crafted page-turner and a chill­ing look inside the mind of a psychopath.